Egypt’s Mohamed Salah’s shoulder injury will keep him out of action for three to four weeks, Liverpool’s club physiotherapist said, as the forward tries to recover in time for the World Cup. “He is sad about what happened but is totally focused on recovery, seeing when he can be ready,” physiotherapist Ruben Pons told Spanish sports newspaper Marca. 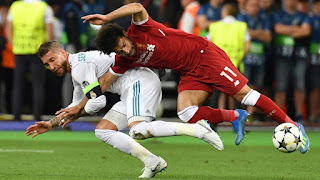 Salah was injured during Liverpool’s Champions League final defeat by Real Madrid. Egypt begins their campaign in World Cup Group A against Uruguay on June 15, before facing hosts Russia on June 19 and Saudi Arabia on June 25. This means if Salah takes four weeks to recover, he could be fit in time for the knock-out phases. Egypt reached the tournament after Salah scored a 95th minute penalty to help them beat Congo 2-1 in October. Salah, who scored 44 goals in a sensational first season for Liverpool after joining from Roma, was voted Player of the Year by the Football Writers’ Association this month.